Listen closely T-rex, hear how the dinosaurs howl! An interesting radio program on the digital future of book publishing from the BBC’s Bottom Line. With the exception of Kobo’s Michael Tamblyn, most of it is the confused howling of Argentinosaurs as they stumble through the nuclear winter following the asteroid’s impact, but a fascinating piece of history, nevertheless. I’ll be doing a longer blog piece shortly on how Waterstones can save itself from going down the shitter (maybe), and avoid HMV’s recent fate. Here’s a clue… it’s not what they’re doing at the moment! Am I optimistic anybody will do what it takes to save the mass book market in the UK (or the USA, for that matter)? Not really. E-book wisdom? More arse than bottom, this week, sadly. Here’s the program’s blurb, anyway. Like the music industry before it, the print book industry has been turned upside down up by the digital revolution. As sales of ebooks continue to grow, bookshop sales are down from a peak in 2007. So what does the future for hold for the bricks and mortar bookstore? Will physical books become a thing of the past? And what role will traditional players like publishers, agents and retailers play in this brave new world? 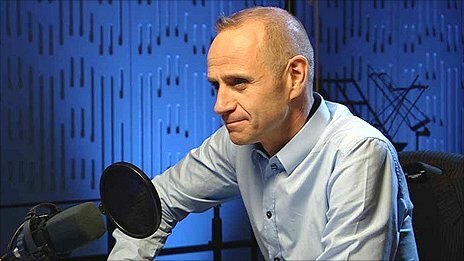 Evan Davis and guests examine what the landscape might look like once the dust settles. Joining Evan in the studio are Jonny Geller, literary agent and joint CEO Curtis Brown; Victoria Barnsley, CEO of publisher HarperCollins UK & International; Michael Tamblyn, Chief Content Officer at Toronto-based ebook retailer Kobo. You can listen to this for the next 12 months over at http://www.bbc.co.uk/programmes/b01qfjdq (not sure if they are still blocking non-UK residents from listening to it, though). « A poster rises… for ‘Rise of the Iron Moon’.